Luxury apartments with world-class features for a beautiful life in Bangalore! Bangalore is a popular city in Southern India that is loved by many for all that it has to offer. From a beautiful environment, to education institutes, MNCs, great food, places to visit, superb nightlife, etc., this is where you can live life to the fullest. The real estate market in Bangalore has evolved over the years with different residential as well as commercial projects throughout the city. 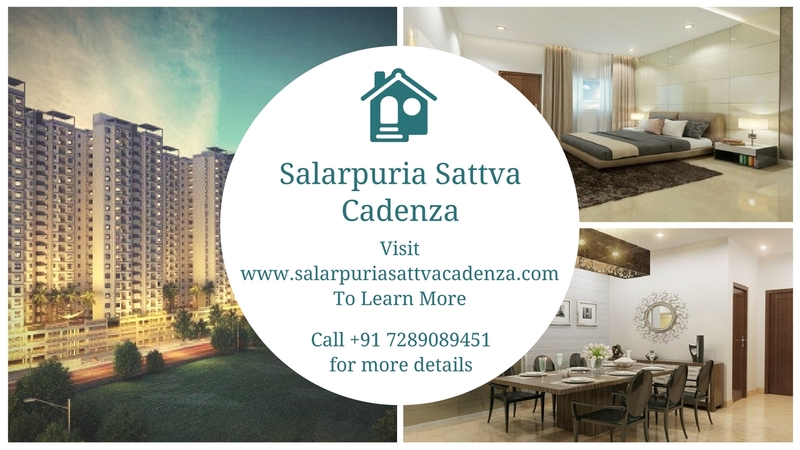 Salarpuria Sattva Cadenza is one of the latest residential projects in Bangalore by Sattva Group that offers premium luxury and comfort that is nothing short of spectacular. Spread over 5.8 acres of luscious land, this residential development consists of 8 elegant towers that offer exclusive variants of 1BHK, 2BHK, 2.5BHK and 3BHK apartments that speak ‘luxury’ from start to finish. With apartment area sizes starting at 714 sq. ft. and going up to 1850 sq. ft., luxury space is what you will find in each and every apartment. 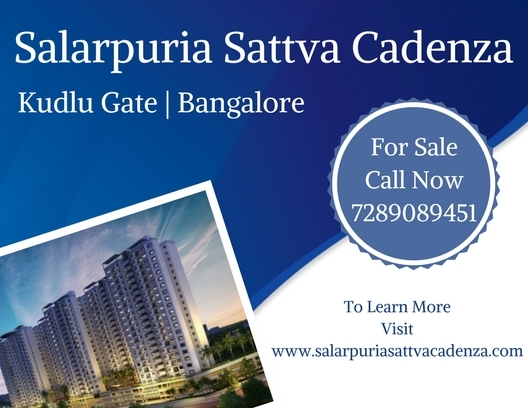 Salarpuria Sattva Cadenza Bangalore is a distinguished residential development that goes way above its competitors with its exquisite range of internal as well as external amenities. This is where you can experience premium luxury and comfort like never before. You will find apartments that are high on space and contain high-end vitrified flooring, anti-skid flooring in utility areas and balconies, tough doors, wide balconies and beautiful windows, stylish kitchens with multiple provisions, safety features and more. The external amenities at this development are truly world class and will always keep you active, busy and entertained each day. They include a lavish clubhouse, swimming pool, jacuzzi, gym, meditation centre, indoor/outdoor sports facilities and a play-area for your kids, jogging track, day care centre, steam/sauna, multipurpose hall, efficient car parking, power back-up for emergencies, landscape garden, wide open space, 3-Tier security and 24hour water supply. This development also takes-up rain water harvesting to conserve water. Situated at Kudlu Gate in Bangalore, this development offers easy access to a number of your everyday and emergency landmarks and lets you step into a new world of convenience that will satisfy you. Places like schools, institutes, banks, ATMs, café, restaurants, cinemas, shopping centres, general stores, malls, supermarkets/hypermarkets, public transport and a lot more can be found and accessed in the shortest amount of time possible. Everything you need is just a hop, skip and jump away! Starting at an amazing price of Rs.42.05 lakhs and moving up to Rs.1.08 Cr., the Salarpuria Sattva Cadenza price is affordable and definitely worth the brilliant high-end features that it has to offer. You can conveniently choose from different payment options along with home loan features, NRI services and a lot more for a hassle-free purchase.